Finding the right camera gives you the peace of mind you need when you’re away from your property. 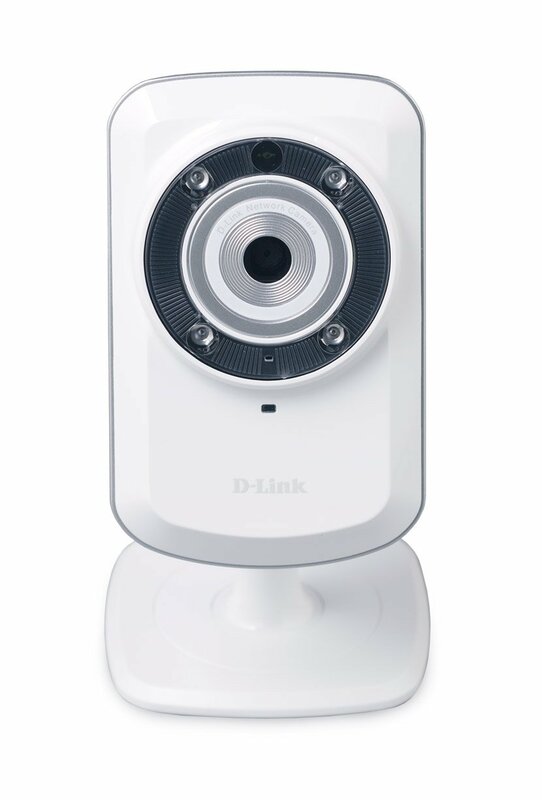 As an added bonus, many of the surveillance cameras on the market today allow you to view the video feed remotely via any Internet connected device, including smartphones. 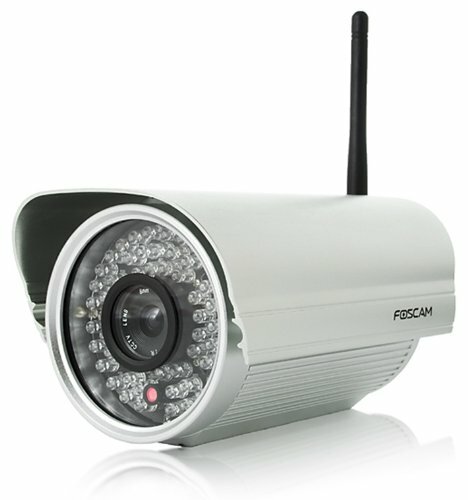 Foscam FI8905W Outdoor Wireless/Wired IP Camera is a great example of one of the newer security camera options available today. Priced under $100, an appealing feature of this particular camera is the fact that it’s completely waterproof, including the cord, which is a plus if your camera is continuously exposed to the elements. The camera uses MJPEG hardware compression technology to transmit high-quality images that can be viewed through a local network or via any Internet-connected device. You also get the benefit of password protection when you need to access the cameras remotely. You can also allow multiple users access to the control panel and video footage. A standout feature of this camera is the ability to manage and control the settings through your browser, including making any adjustments to the angles you’re viewing and adjusting the image quality. Infrared LED lights allow for night viewing of up to 30 meters, even in complete darkness. If you live in an area with street lights or some other type of artificial lighting at night, not to mention any incidental lighting from the moon, your nighttime visibility will be greater. The software that comes with the camera is fairly standard, but works well. The email notification feature, however, doesn’t work with some newer email servers. The only way around this is to set up an email account with a compatible email service, many of which are free, so this really isn’t a major inconvenience. It’s not unusual to have some issues while initially setting up any camera of this nature, especially when it comes to the accompanying software. Fortunately, Foscam does actually does make setup pretty easy on all of its cameras with step-by-step instructions, video tutorials and phone and email tech support. Once you have it set it up, you can easily access your email notifications via any device you use to check your email. Another positive feature of the camera is that it can be used wireless or wired. This is especially helpful if you’re in an area where your neighbors are also using surveillance cameras and you want to avoid interference with your signal. It should be noted that installing additional lighting around the cameras can increase its performance when it gets dark. Again, night performance is also dependent on what lighting you have available, both natural and artificial, so this shouldn’t be considered a universal issue. Video footage can always be enhanced with other software programs you would need to purchase separately. For general surveillance, however, this camera comes with everything you need to get started after you set up the camera and install the software. 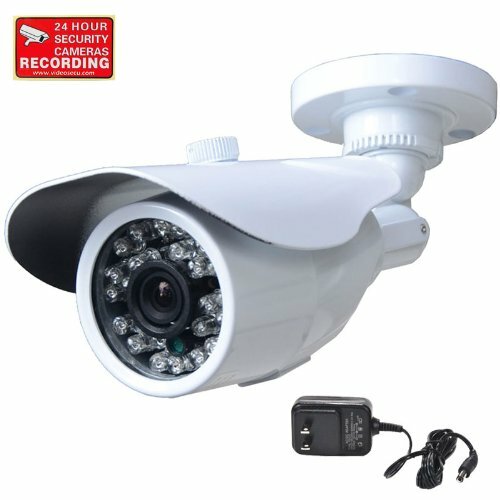 Finally, up to 9 cameras (provided they are the same model) can be viewed at once. This is especially helpful if you have a larger area you want to monitor simultaneously. Note: A DSP issue (evidenced by rebooting, black video or neon colors) in some models, repeatedly referenced in customer reviews as being an issue spanning several models, has reportedly been identified and corrected on all current models available for purchase, according to the manufacturer. 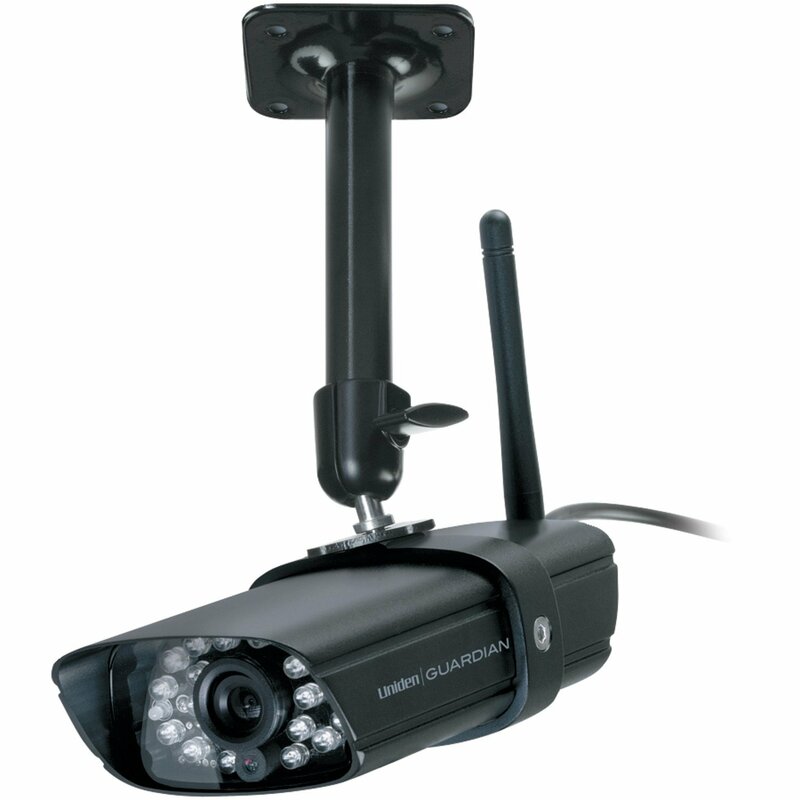 For the price, this camera with an attractive sleek design is generally effective for routine surveillance. You only get the camera, but it can easily be hooked up to your TV’s DVR. The bright infrared lights boost the quality of night vision footage. This camera comes with software to provide the option to record directly from the camera to a local hard drive. Another plus with this camera is the easy setup, involving only three steps. It also has a convenient motion detection feature. While you don’t get HD video, the clarity is still decent, even at night. You may have to adjust the placement of the unit to improve reception, but it’s generally effective for basic surveillance needs or using as a backup to an existing system. 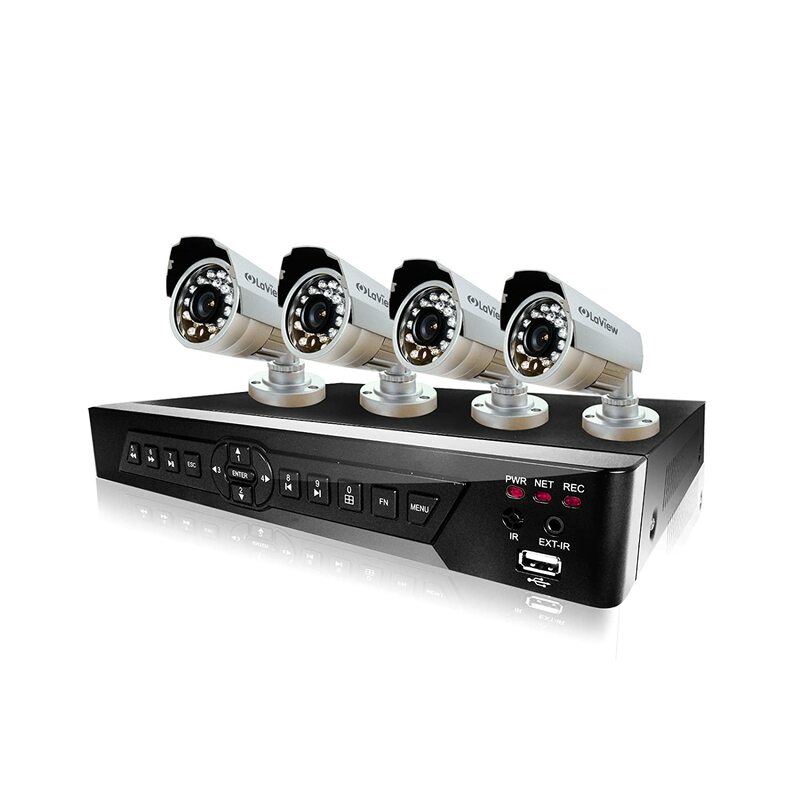 You have the option to view up to four cameras at once with this surveillance camera. It’s also easy to connect to the Internet and the smartphone apps are equally convenient for remote viewing. Since the footage is compressed, you also get more recording time, ideal for when you take vacations or plan to be away from home for a long period of time.